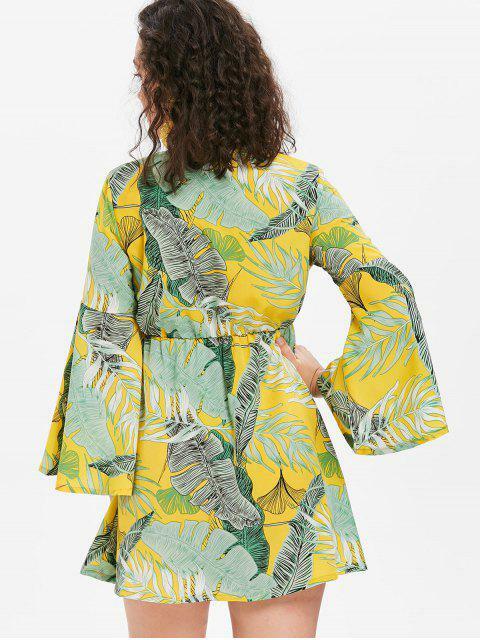 [23% OFF] 2019 Flared Sleeve Palm Leaves Mini Dress In CORN YELLOW | ZAFUL ..
Dreaming in the bright tropical sea, this mini dress is designed with an elastic empire waist, a tropical palm leaves print throughout and finished with long flared sleeves for a flowy, breezy feel. A low-cut bodice adds a flirty feminine vibe. Just pair it with pretty sandals to have a stroll along the beachside.